Muskerry News | Students are so dramatic! Scoil Mhuire gan Smal scoop best overall drama at Dramafest! 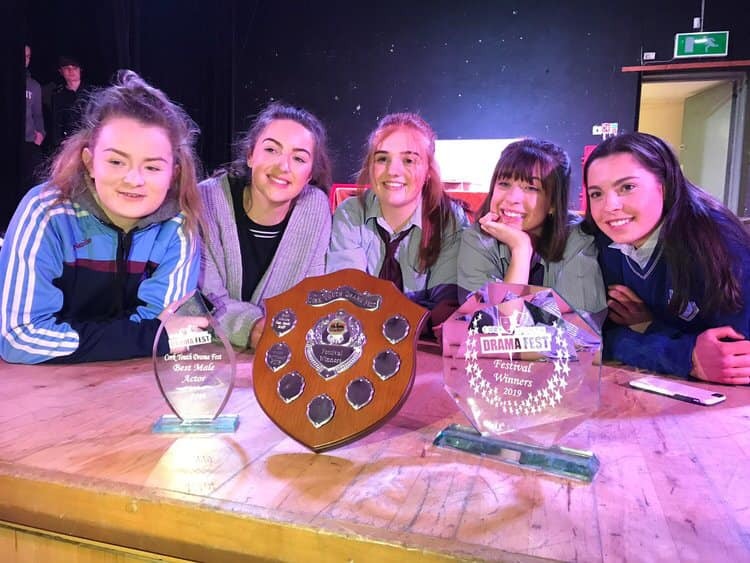 What a fantastic night for the SMGS transition year drama group at the Cork Dramafest where they won ‘Best Overall Drama’ with their production The Terrible Fate of Humpty Dumpty. Luke Walsh was also crowned as ‘Best Male Actor’. Congratulations to the hard working and creative group and their director Ms Lucey.